Ed was born in Butte, Montana, to Ed and Mary DeGeorge in 1942. DeGeorge played seven years of elementary school football at St. Ann's and four years of high school ball at Butte Central (an all­boys, Irish Christian Brothers' school). He graduated in 1960 and then played four years of college football at Colorado College in Colorado Springs where he earned both a bachelor's and master's degree. Ed and his wife, Nancy, were married in June of 1964 and raised three sons (Joe, Dave and Mike) all of whom have been head coaches at the NCAA Division III level. 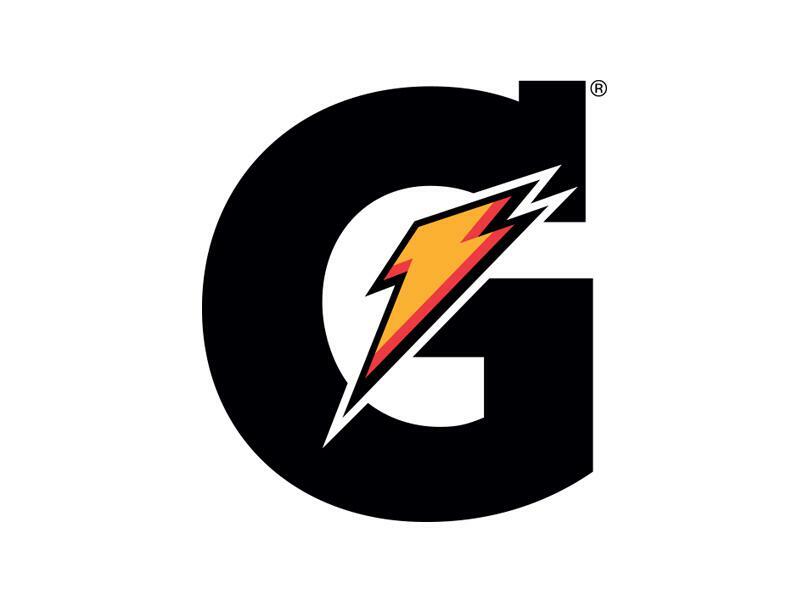 After two years in the United States Army (wounded in action in Vietnam in 1966), DeGeorge began his coaching career at Alameda High School in Denver, Colorado. The next year he was hired to coach the defense at Colorado College. The last six years of his ten-year tenure resulted in a record of 46-6-2 that culminated with an NCAA Division III playoff bid. as many as anyone who coached in the 116 year history of football at the college. 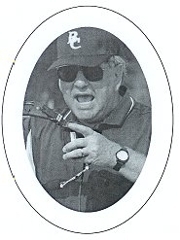 Since going to the Wing-T offense in 1988, the Beloit College trademark became winning close games. Nearly one-third of Ed's victo­ries were by nine points or less. 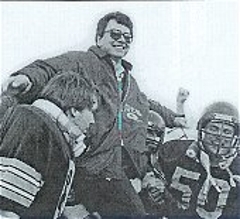 In 1984 DeGeorge led his Buccaneers to their first Midwest Conference North Division Championship. His clubs excelled in the 1990s, going 40-8 (a .690 winning percentage) in conference play. During that span, Beloit won five more north division titles. 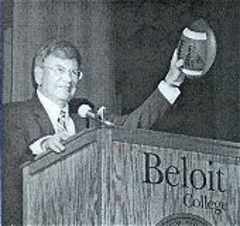 DeGeorge was selected as Beloit's Director of Athletics in 1985 and led the Athletic Department until 2004. During that time Ed served on many MWC and NCAA committees including the NCAA Division III West Region Football Playoff selection committee. He was honored by the Midwest Conference in November 2005 for his distinguished service. Ed is especially thankful to his wife and family for supporting him in this time-consuming profession. DeGeorge is grateful to the Wisconsin Football Coaches Association for including him in this Hall of talented people who have touched the lives of so many young men. Ed is especially thankful to the dozens of coaches and hundreds of players who made his career such a joyful and meaningful experience.